Console exclusives have a lot going against them when it comes to climbing the sale charts, especially in the first week when they're still gaining traction. Apparently no one told that to Spider-Man. Already the PlayStation 4 exclusive is the best-selling game of last week in the UK – despite only two days of sales. 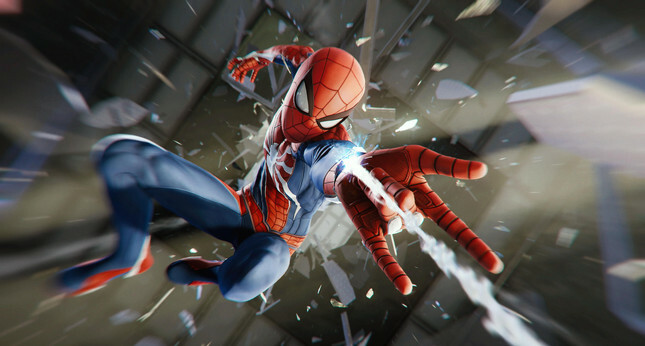 In addition to that, Spider-Man has been announced as the fastest-selling game of the year in the UK, a title previously held by Far Cry 5. That's even more impressive when you consider Far Cry released on PlayStation, Xbox, and PC. If that wasn't enough, the game doubled the initial sales of PlayStation's other big exclusive of the year, God of War. Insomniac's Spider-Man is also the best-selling Marvel game of all time, beating out LEGO Marvel Super Heroes by "a big margin". With this kind of success on top of the critical praise the game is receiving, one has to wonder if Insomniac will revisit the franchise for a sequel in the future.